Day 1. Noon. Your yacht will collect you from the bay in front of whichever hotel you are staying in if suitable otherwise join your yacht in English Harbour. Sail up to Green Island in Nonsuch Bay in Antigua (45 minutes). 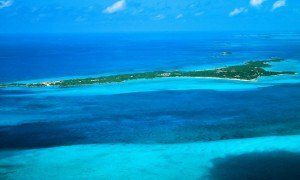 Stunning natural reserve of turquoise waters and tiny natural islands protected by a coral reef. The exclusive Coral Reef Club overlooks this same bay from the mainland. Sail over to Barbuda (1 1/2 hours). Anchor alongside one of the most glorious beaches in the entire world. Remember this is where Princess Diana used to come and hide away. With a frigate bird colony at one end of this 10 mile long, pink sand beach and a small wooden beach shack café in the middle, you can find your own paradise. Divine snorkelling and scuba. Sail up to St Barths (approx. 50 miles so a whole day of fast, down wind sailing (2.5 hours). Stunning sailing with a view of the volcanic island chain to the West of you – Nevis, St Kitts etc.) Charming, chic, fun, superb restaurants, international laid back super star little French island. Not for no reason do so many of the film stars spend time here. It’s wonderful. Gorgeous beaches, excellent walks. So much to see and do. Fab Duty Free shopping too! I suggest spending 2 days here – one anchored in the main port of Gustavia and maybe one in the fabulous anchorage just a couple of miles away if you fancy a little tranquillity. Rockefeller built his house overlooking this little bay – other than that it’s almost totally undeveloped. Sail over to St Martin (45 mins hours max). Indulge in a little duty free retail therapy and then go an anchor for the evening off Grand Case Beach with its string of little local creole and French bars and restaurants wrapping around it. Anguilla. Super relaxed with beaches to die for. The upcoming island of the Leewards. Very stylish with a barefoot attitude. Fun bars, amazing snorkelling. You can choose whether to anchor somewhere remote or look to seek a little more action. Prickly Pear Island. (25 min sail). Leisurely sail in time for lunch at Prickly Pear Island. Virtually uninhabited, outcrop of little islands – two to be precise. It’s a must see. Take a walk over to the ‘other side’ before sundowners on board. Back to St Martin in time for your flight. You can anchor under the runway!!! Literally or choose to go into a marina where we’ll arrange for a limo to collect you to take you to the airport. The days can be spent any way you choose them. If you love being in Barbuda, spend another day here and postpone your sail on to St Barths. The same goes for any of the islands. The only thing you have to do is be back in St Martin in time to catch your outbound flight!